What is the best way to ensure the best fit? Your pack is designed to fit like a glove, yet not to tight so as to be uncomfortable. It should be tight enough to stop any bounce whilst running. Fitting is simple and needs to be done only once. It does require a little trial and error. 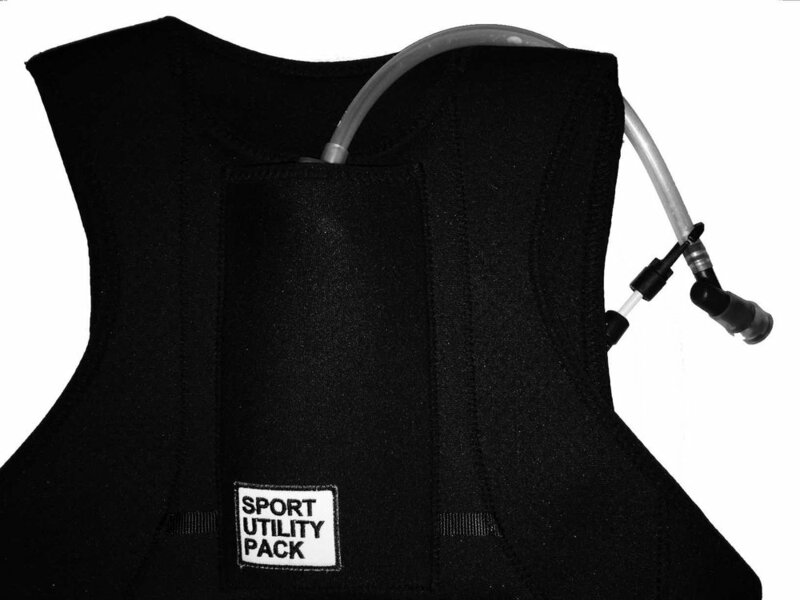 Place the empty pack on your back with the shoulder straps hanging over your shoulders. The top of the pack should be high on your back and rest just at the base of the neck. Attach the end of the top strap to the underarm strap. Right to Right, Left to Left. The strap length is designed for a medium built person, so find the fitting that feels most comfortable for you. Once you have achieved the "fit like a glove" fit - make sure that the velcro fastenings are flat with no wrinkles. Once you have the pack fitted comfortably - there is really no need to keep undoing the velcro (unless you want to re-adjust the fitting). To put on and remove the pack simply place both arms through the straps and slip the pack over your head. Similarly, when you want to drink - DO NOT REMOVE the bottle from the pocket. Pull the pack over your head, drink from the bottle and slip the pack back on. This will quickly become second nature and can be done on the run. How do I keep it clean? At the end of a run - wash the pack under cold water and let it drip dry (no need to undo the straps). Do not put in a washing machine. Absolutely, although neoprene is soft, it is hard wearing. It will retain it strength and shape even after years of wear. What size soft bottles does it hold? 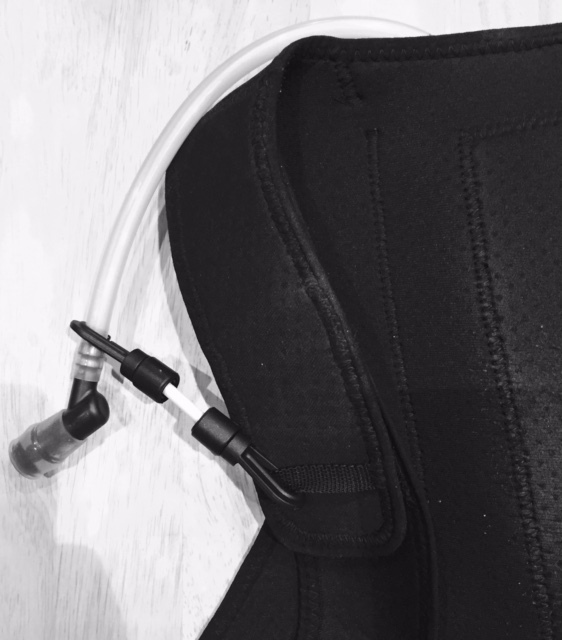 The outer pocket holds 325ml or 500ml soft bottles, the inner pocket will hold a 500ml - 1litre bladder. As a recommendation I use the USWE 500ml disposable bladder - fits perfectly. Can you use a water tube? Yes, you can fit your 325ml or 500ml soft bottle with a 12inch water tube. 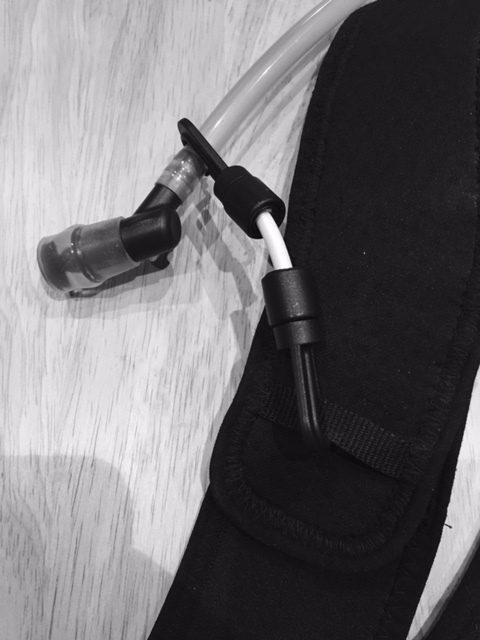 Run this over your shoulder and use the supplied clips (cut to size) to hold in place whilst running. The beauty of neoprene is that it retains shape, which holds your phone, water tightly with zero bounce. But its totally flexible - it stretches as you move. So it fits like a glove and is comfortable. 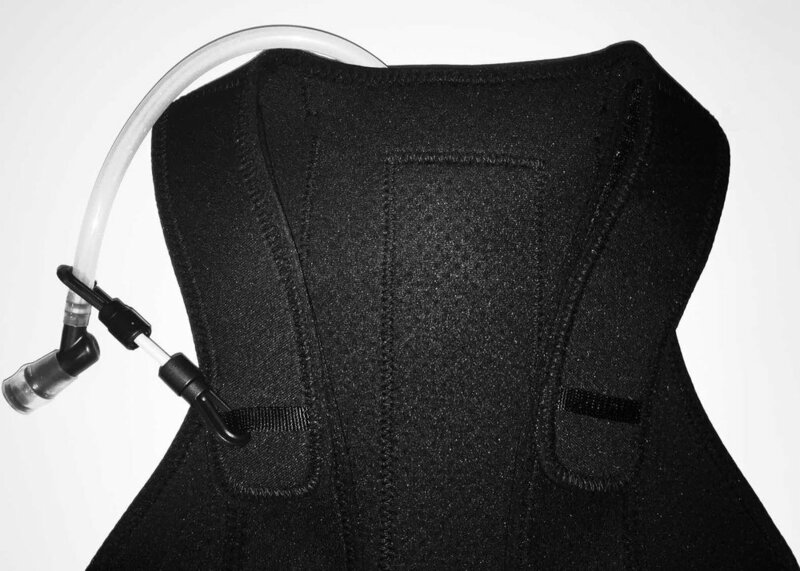 The pack is made of a high tech airprene - which is a breathable material (lots of little holes). What if I am not happy with my pack? If you are not completely happy with the pack you receive then email me and I will arrange for a replacement or refund.